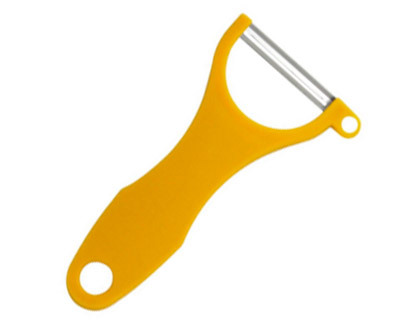 If you have not figured it out yet, U-shaped peelers are the way to go! The fully articulated blade makes peeling round things (like mangoes & potatoes) just as easy as peeling carrots or cucumbers! Also lovely for shaving cheese or chocolate. At $5, it's a tool that every kitchen should have.